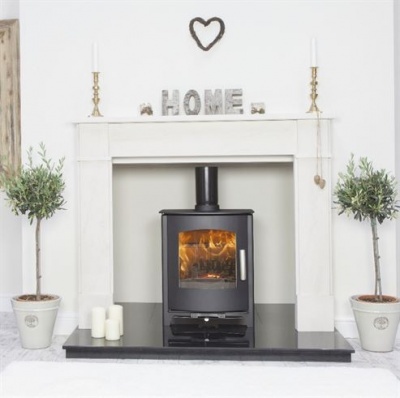 Small and sleek, the Churchill 5 and 6 SE have a large curved glass allows to a fantastic fire view and it's small stature mean that it can fit into an inglenook fireplace or stand alone in the room, it makes a big impression. 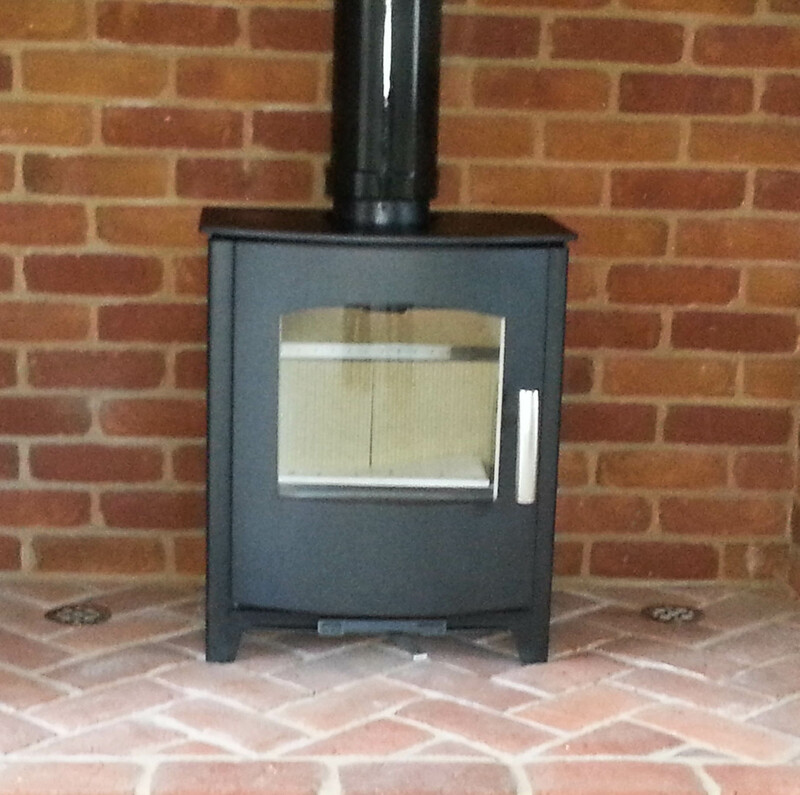 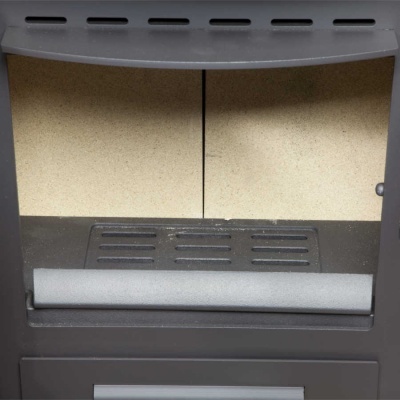 This stove is DEFRA exempt to allow wood burning in smokeless zones. 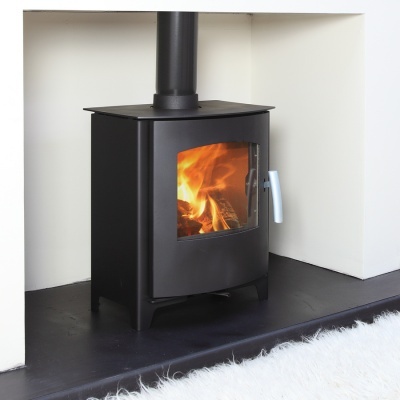 Equally capable of burning wood or solid fuel.